Repair and shield your skin even in the driest of climates with this extremely flexible moisturizer that automatically adapts to climate. Protect against bacteria and balance sebum production while calming irritation. 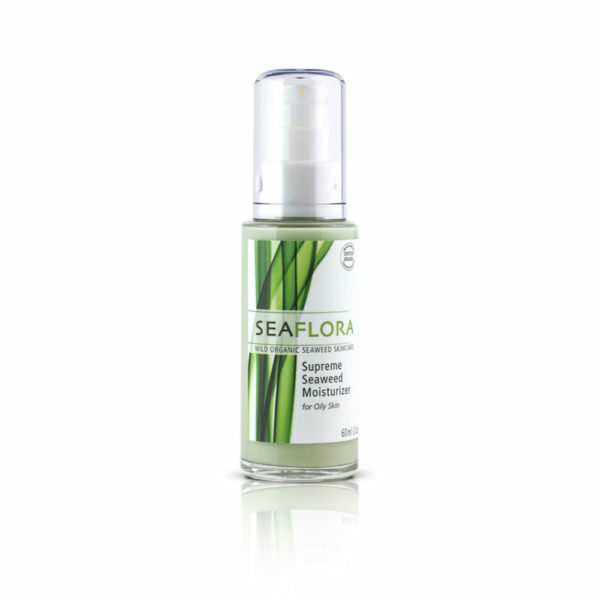 Revitalize the skin’s outer layer while replenishing the moisture within. Apply as needed morning and night on clean, dry skin as part of your daily skin care regime. Massage gently until fully absorbed. 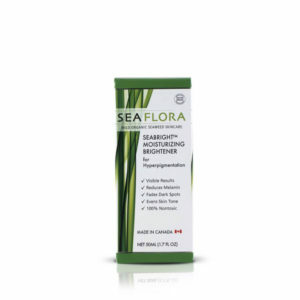 For best results, apply after a Seaflora toner. Suitable for all skin types, especially combination, oily, and acne prone. *Mazzaella splendens, Aqua, *Cocos nucifera (Coconut) Oil, Cetearyl Alcohol, Polyglyceryl-6 Distearate (and) Jojoba Esters (and) Polygylceryl-3 Beeswax (and) Cetyl Alcohol, Glycerin, Panthenol, Soluble Collagen, Sodium Hyaluronate, Phenethyl Alcohol (and) Ethylhexyl Glycerin, *Olea europaea (Olive) Oil, *Borega officinalis (Borage) Oil, *Persea gratissima (Avocado) Oil, Hydrolyzed Wheat Protein, Hydroxyethylcellulose, *Aloe barbadensis (Aloe) leaf extract, *Lavandula angustifolia (Lavender) Oil, *Chamomilla recutita (Matricaria) Oil, *Arnica montana flower extract, *Symphytum officinalis (Comfrey) extract.